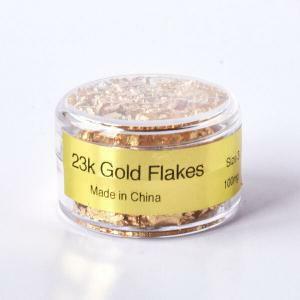 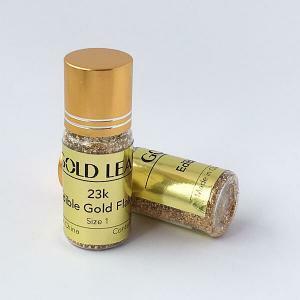 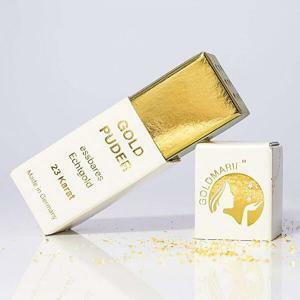 Cosmetics gold flakes are two types: genuine and imitation. 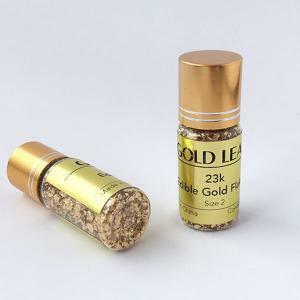 The imitation can only be used on your skin and nails, and should not be consumed. 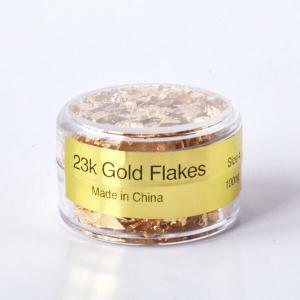 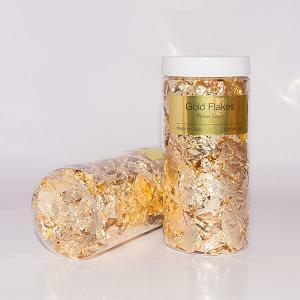 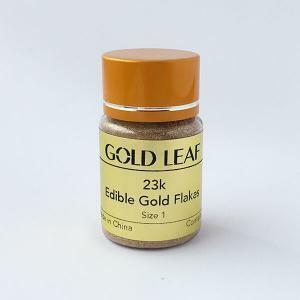 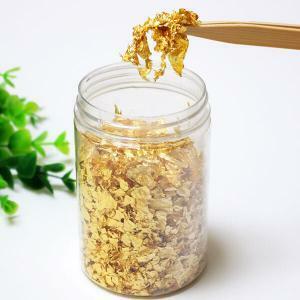 As for the genuine flakes, they are made from genuine edible gold leafs that are certified by the EU and the US. 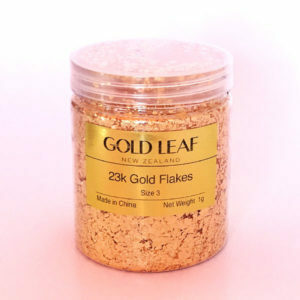 Flakes size starts 1 (fine sugar) up to size 4 which is between 5-10mm. 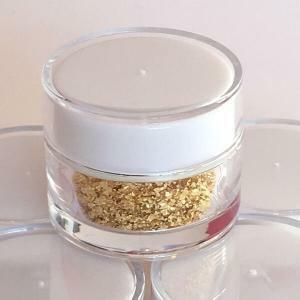 Size 0 is the largest, about 1-3cm.